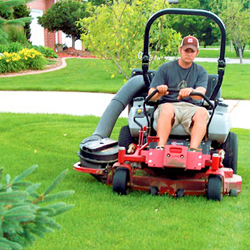 Lawn mowers of all varieties have certain inherent risks. 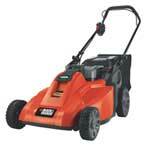 You have to know how to operate it properly and keep it well maintained to avoid accidents. 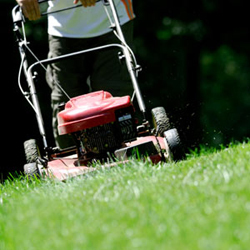 Above all, children should not operate lawn mowers and should understand that they are dangerous yard tools. Don’t let young teens mow the yard without supervision. Watch out for young children and teach them to stay away from the mower. Wear sturdy shoes, long pants, and goggles for protection from flying debris. 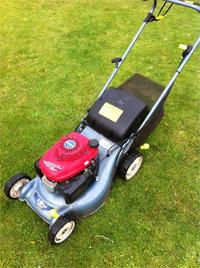 Make sure the blades have stopped completely before leaving the mower unattended. 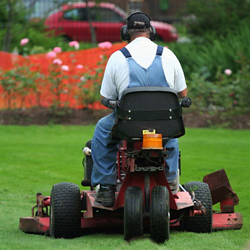 Turn off the blades before crossing sidewalks and driveways. Don’t tamper with or remove safety features like the rear flap. Avoid moving a mower backward, and always check behind you if you must. Keep hands and feet away from the blades. 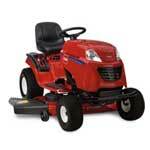 Never tilt a mower, but keep all the wheels firmly on the ground. Turn off the engine and let it cool before cleaning or exchanging attachments. 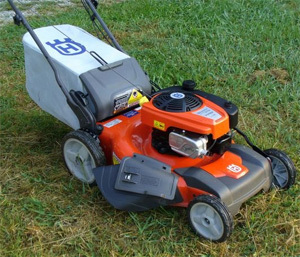 Gas-powered lawn mowers require handling gasoline, which is highly flammable. Avoid fires and combustions by exercising caution and common sense. Never smoke around a gas canister or gas mower. Don’t store gas canisters indoors or near appliances with sparks or pilot lights. Always fill a tank on the ground, to the correct level, and when the engine is turned off and cool. Clean up gas spills quickly and don’t turn on the engine around spilled gas. The greatest risk that riding mowers pose is that unsuspecting people, particularly children, can get in the way of the mower’s path. Always keep an eye out for people and look behind you before going in reverse. Don’t give rides to kids. They could easily fall off or interfere with the controls. 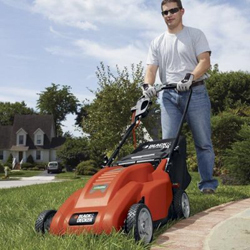 Never attempt to ride along steep slopes because the mower could slip or roll over. Go in an up and down pattern on gentle inclines. 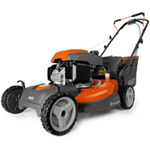 Never use an electric mower on wet grass or while it’s raining. Don’t use a power cord that’s become frayed. Make sure it’s grounded. Avoid mowing over the power cord. Don’t yank the cord, but rather pull it out directly from the outlet.